It’s time for the long-awaited best man’s speech. Wedding speeches help create happy memories for the newlyweds and guests. As expected, some contain a few jokes at the Groom’s expense, and some contain a heartfelt message of friendship. Nowadays the best man’s speech is surrounded by anticipation. It’s all that anybody can talk about. Did you go down a traditional path of delivering a structured speech, or did you sing a song? Did you make an accompanying slideshow with embarrassing pictures of the groom? Perhaps you delivered jokes that won over the wedding party, and were a great success. Or perhaps the jokes didn’t go down so well and you had a tough crowd. 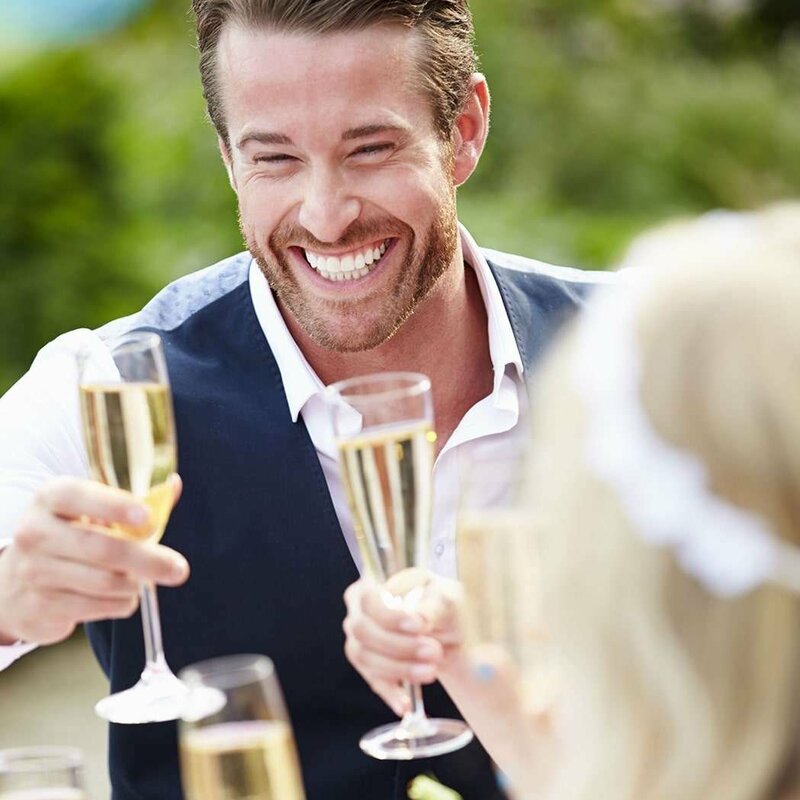 Whichever it is, we’re glad to have a refilled glass of bubbly to cheers the happy couple with! Share your best man speeches with us! We would love to hear them. Submitting your speech is easy. Scroll down this page and you’ll find a form you can fill in. Simply enter your name, your email address, and your story. Got some photos or a video? Add them in too! So you've been the Best Man at a recent wedding. Now that you have a taste of what married life could look like, you may want to pop the question to that special someone yourself. If you're planning a proposal, #agreatplacetopropose is the first place to go searching for inspiration. See what worked well for others, and what went humorously wrong! This is a community hashtag where you can submit your proposal stories, images and videos. Your love story deserves to be shouted from the rooftops! Is your best man speech the best we would have ever heard? The Greatest Best Man Speeches we've ever seen! When it comes to weddings, there are certain things you look forward to that bit more eagerly than others. The first dance, the cutting of the cake, and of course, one of the most entertaining moments in any wedding day is the Best Man's Speech. 2. Funniest Best Man Speech Ever!